This last week I hiked the Continental Divide Trail (CDT) through the South San Juan Wilderness with two of my friends. 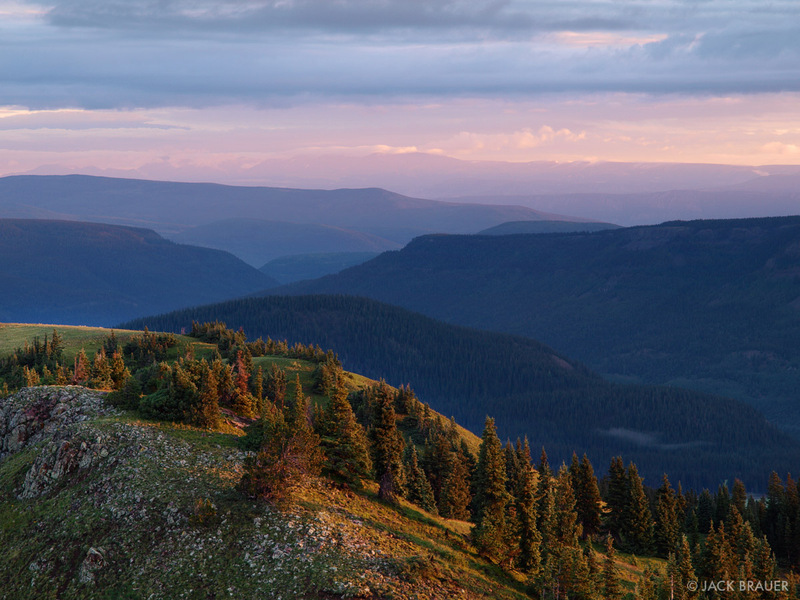 It’s a 60+ mile trek from Cumbres Pass near Chama, New Mexico to Wolf Creek Pass near Pagosa Springs, Colorado. Although we initially planned for 6 days out there, we ended up hiking an average of 13 miles per day, finishing in 5 days. This hike was the longest distance backpacking trek I’ve done so far, and the first time in a long time that I’ve gone on a trip where the priority for me was the hiking itself, rather than the photography. We had a lot of ground to cover and we spent a good portion of each day just hiking. The photography was mostly unplanned, take-what-you-can-get shots along the way. It’s pretty amazing to hike so far, basin after basin, each day looking back at distant mountains on the horizon and knowing that you just walked all the way from there, step by step. 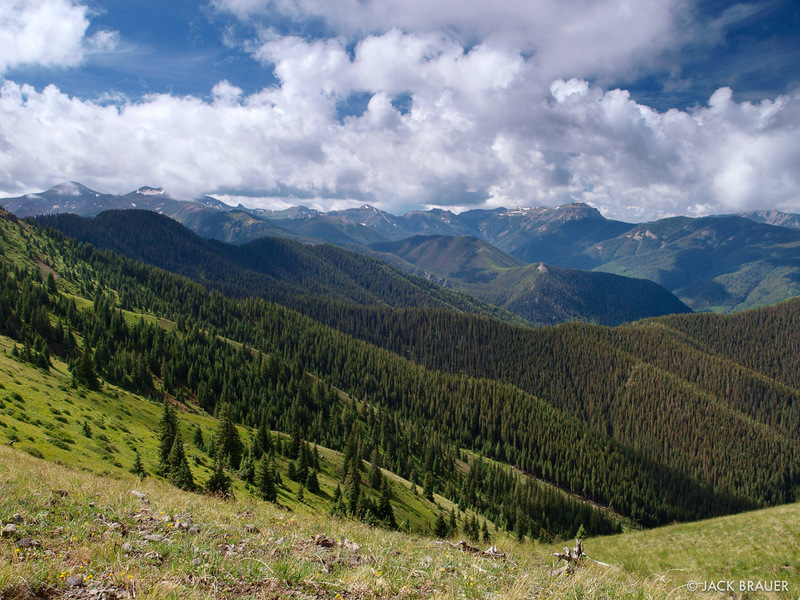 Although I usually prefer to hike shorter distances each day (to have more time to relax at each camp spot and concentrate more on photography), the South San Juans are well-suited for this style of long multi-day trekking. The mountains are remote with poor access, and the trail is fairly flat and mostly on high tundra with the logical camping spots being few and far between. 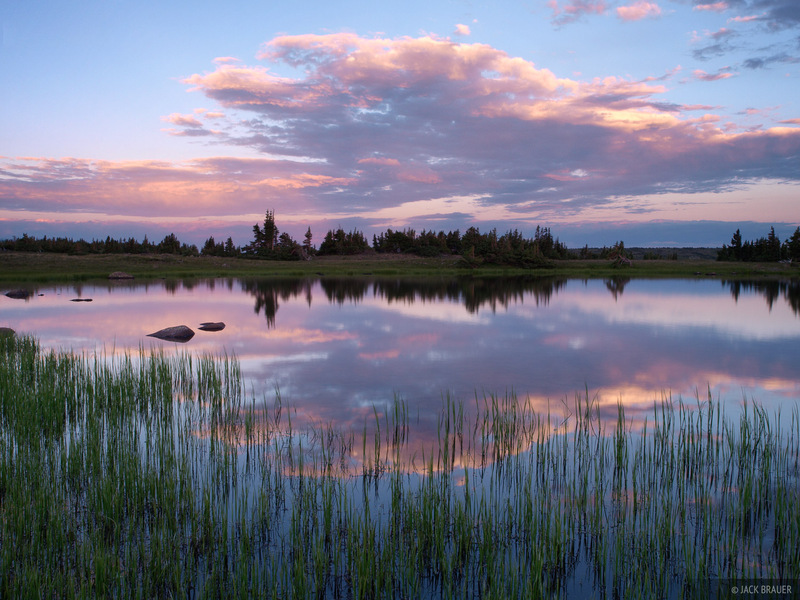 Sunset reflection in one of the numerous lakes on the broad tundra highlands near Flat Mountain. 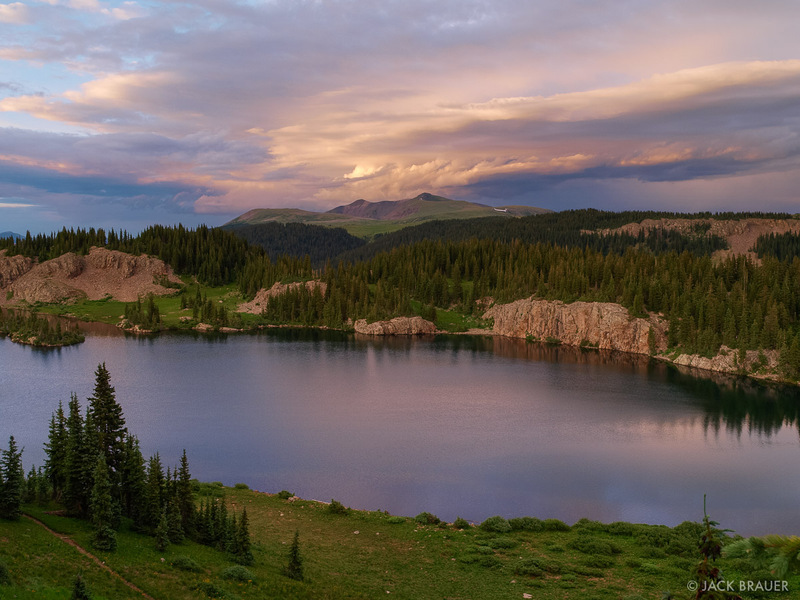 Sunset above Blue Lake, with Conejos Peak in the distance. 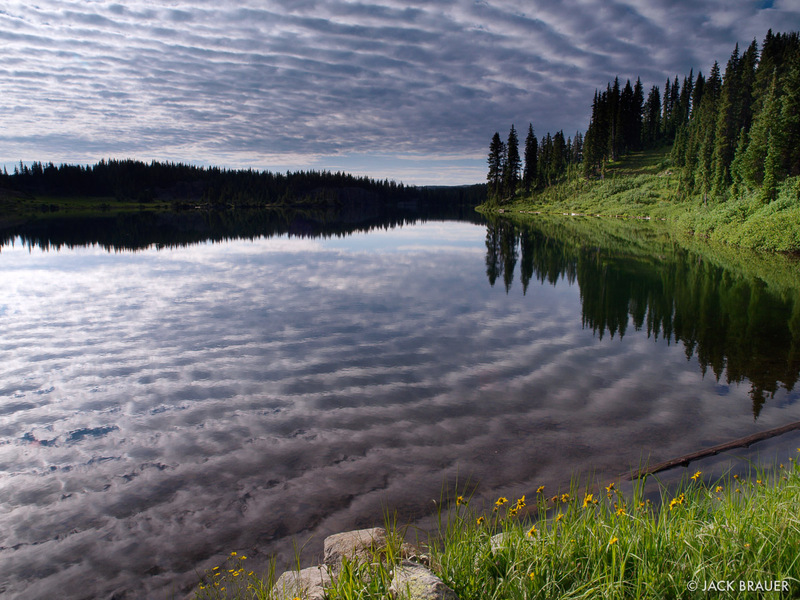 Strange "rippled" clouds reflected in Blue Lake. 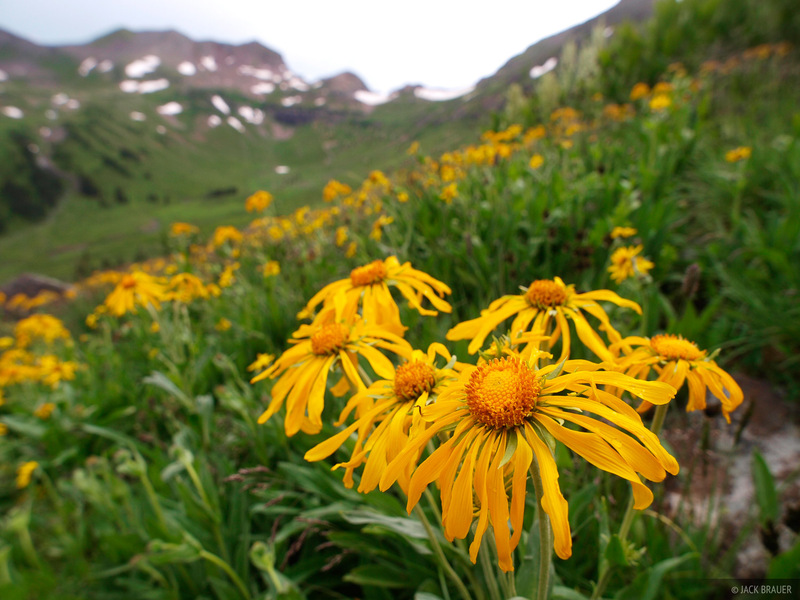 Alpine wildflowers in the lush basin of the Middle Fork Conejos River. In the background you can see the broad lush green alpine valley characteristic of this part of the range. 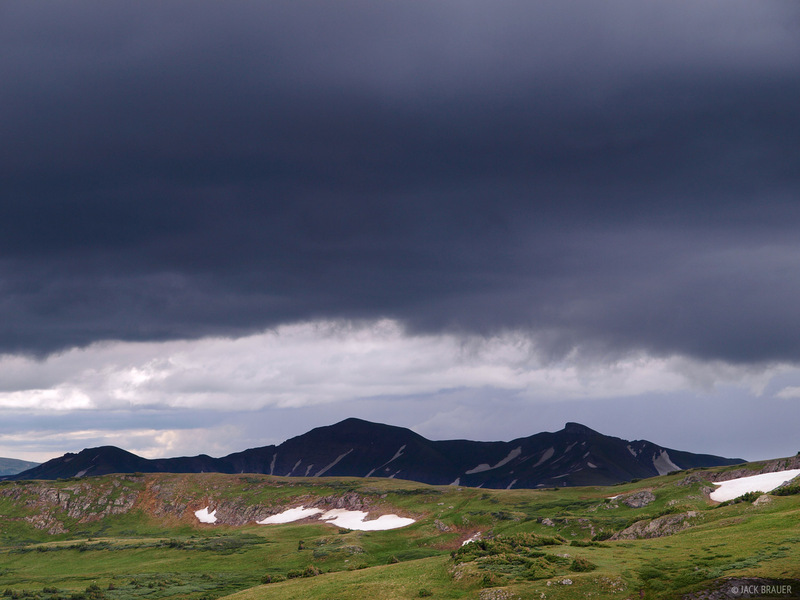 A threatening dark cloud chased us for ten adrenaline-fueled miles across the exposed high tundra section from Summit Peak to Elwood Pass. Luckily we made it to the safety of the trees near Elwood Pass before the clouds unloaded their rain and lightning. 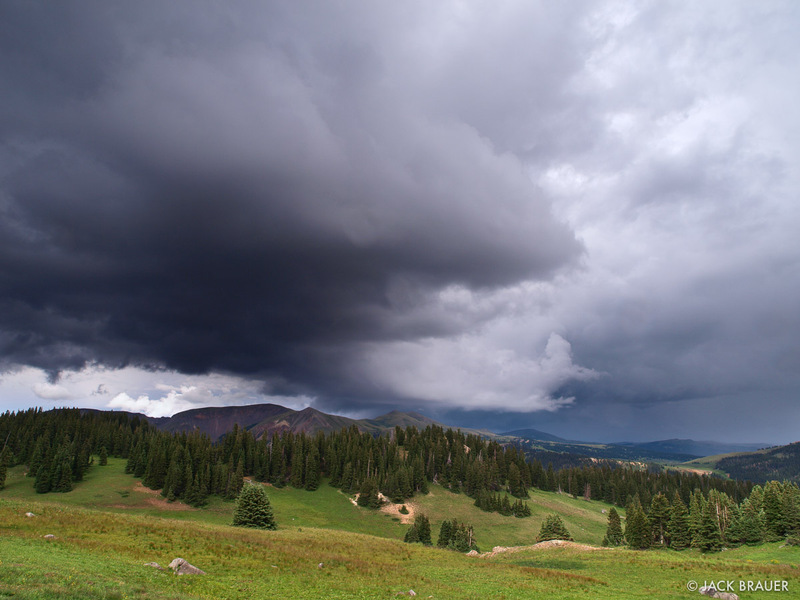 An ominous cloud hovers above the mountains near Summit Pass. It rained heavily this entire night. Morning in the Rio Grande National Forest. 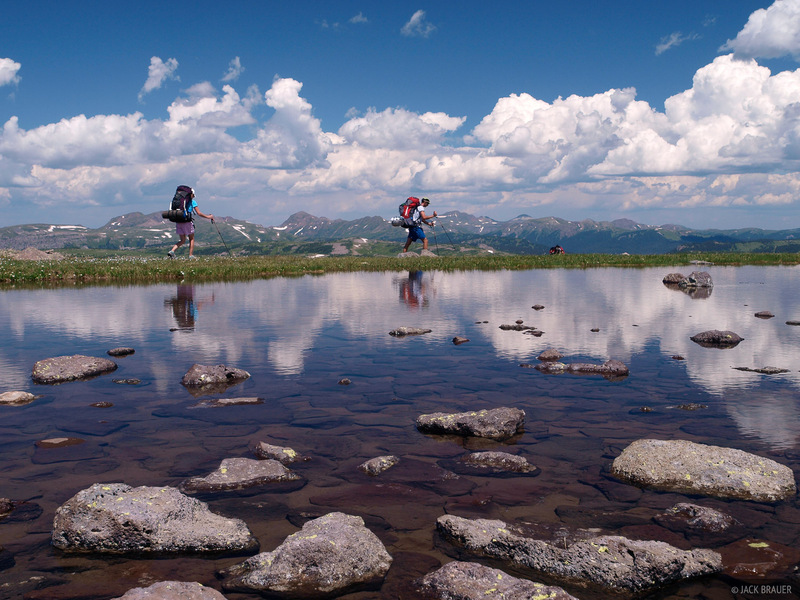 Posted in Backpacking & Trekking, Colorado and tagged San Juan Mountains, Colorado.